Antioch, IL – May 1, 2014 - The USET Foundation has released the names of the riders chosen for the George H Morris Gladstone Program Training Session at Annali-Brookwood Farm in Antioch, IL June 23-28, 2014. The Gladstone Program is an intensive week of training and education for exceptionally dedicated and talented show jumping riders who are serious about their interest and desire to pursue a path that will prepare them to be a "team" rider and represent the United States in international competition. Riders 18+ years of age, who are currently competing successfully at 1.45 meter or above submitted applications for the event, and were personally selected by Morris. The Gladstone Program training session held at Rush and Caroline Weeden's Annali-Brookwood Farm, will incorporate natural obstacles on a large grand prix field. Anne Kursinski will ride one of the training session horses for a flatwork demonstration and Dr. Marvin Beeman DVM from Littleton Equine Medical Center in Colorado will be the presenting veterinarian. Sponsors of the clinic can purchase a package of 18 auditing passes which can be distributed to customers, clients, barns, vendors or organizations such as the pony club, 4H, riding schools or IEA and intercollegiate teams. Sponsorship provides the opportunity for auditors to attend that might not otherwise have the chance. Sponsors Caroline and Rush Weeden are clearly on board with the benefit of education, donating their beautiful Annali-Brookwood Farm facility for the training session. Their farm is also the home of the Chicago Hunter Derby, which will be held in September. The Weedens will be donating their audit passes to the USHJA Foundation. Patrick Boyle and daughter Caitlin. Showplace Productions’ President Patrick Boyle is also a sponsor of the Gladstone Program. Showplace and Boyle will be giving their audit passes to up and coming riders such as the equitation and junior jumper riders. “Once you see the trainings session and the caliber of the riders in the two groups, any rider with a dream will get inspired….and that’s cool!” finished Boyle. Auditors are welcome to observe the morning sessions with Morris each day. 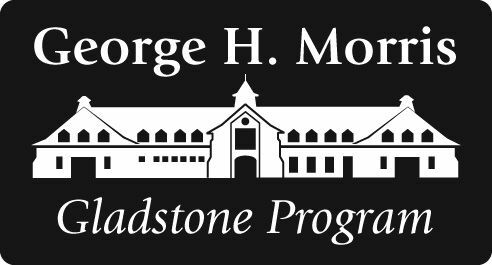 Sponsors interested in supporting the GHM Gladstone Program/Annali-Brookwood Farm training session can contact Diane Carney 847-922-6167 ordtelluride@aol.com for more information. Annali-Brookwood Farm is located at 18752 Edwards Road, Antioch, IL, 60002.